New England photography of Motif #1, a famous red fishing shack and historic landmark in Rockport, Massachusetts on Cape Ann. 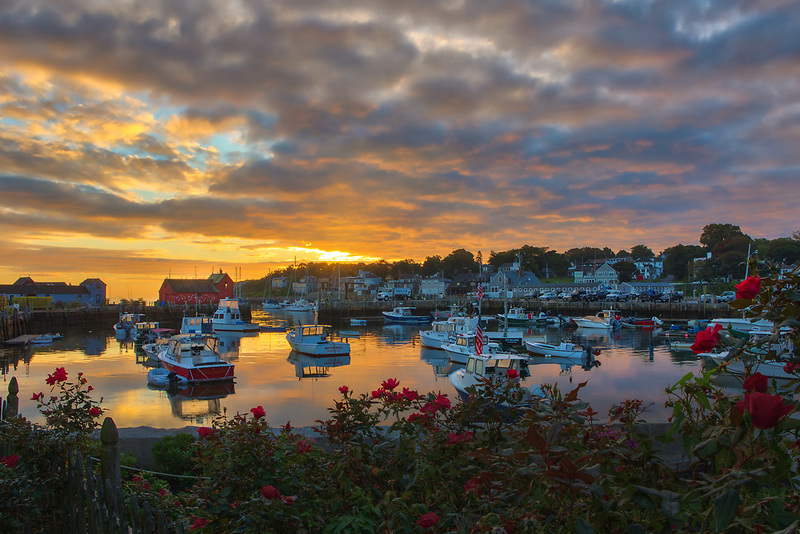 The photo captures the local fishing boats with the iconic landmark and a stunningly beautiful sunrise sky. The historic landmark is known throughout New England as Motif #1, so called because it is the most often painted building in America.